According to the National Conference of State Legislators, “25 states have enacted legislation establishing a statewide electronic waste, or e-waste, recycling program.” The remaining 25 states have yet to move forward with legislation or implementing programs to properly manage the growing amount of e-waste in our landfills. The multitude of state laws can make proper disposal unclear for many who have never recycled old electronics. The confusion can lead to mismanaging e-waste recycling and negatively impact existing programs. Understanding how different laws impact e-waste recycling is vital for moving forward with tackling e-waste disposal. In 2003, California was the first state to pass legislation on e-waste recycling. The remaining states, “require manufacturers to cover the costs involved in collecting and recycling their products to some degree,” according to the Electronic Takeback Coalition. California’s Electronic Waste and Recycling Act of 2003 established four main purposes to manage the growing amount of e-waste. First, it established “a program to facilitate the collection and recycling of covered devices,” Second, it “intends to eliminate e-waste stockpiles.” Third, “end the illegal disposal of covered electronic devices” and fourth “make manufacturers report their efforts to increase the use of recycled materials.” Other state laws don’t always meet standards for e-waste recycling, which points to their different methods to measure e-waste disposal. State laws in Connecticut, Maine, Oregon, Vermont and Washington use “convenience mandates.” The convenience mandate “require manufacturers to provide enough broadly distributed collection sites to meet demand” from all of its state residents. The remaining state laws use a performance mandate by “setting collection targets generally based on weight.” Out of these two approaches, the convenience mandate surpasses the targets set by the performance mandate. 1. E-waste recycling laws have been slow to implement. Only twenty-five states have passed legislation in the last fourteen years. 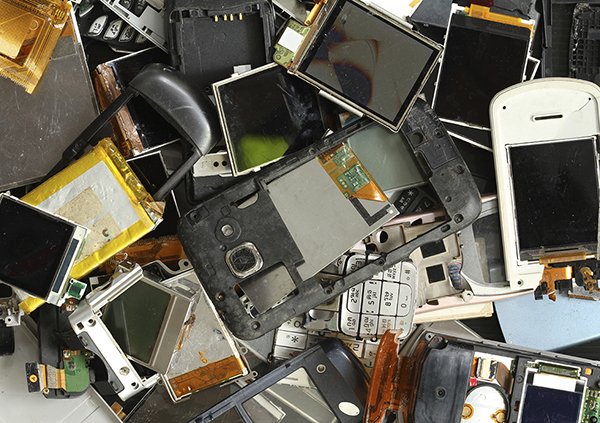 In addition, e-waste is changing rapidly and legislation hasn’t kept up with the demand. 2. Reuse and donating technology have the ability to impact communities far and wide. Encouraging reuse can simultaneously reduce e-waste in landfills and bridge the digital divide in low-income communities who don’t have access to technology. 3. Recycling centers don’t always recycle your old devices. It has been well documented (here and here) that most of them ship old electronics to other countries that don’t have strict environmental laws. It’s natural to assume recycling is the only option when we think of e-waste. While some state laws have made an impact it’s not always the best option when managing the disposal of old devices. Remember to properly reduce your old electronics by donating it to organizations, such as human-I-T, who repurpose technology for low-income families and individuals. More information: Read more about our programs.